In lubrication systems, oil viscosity is one of the most important parameters to monitor, to ensure oil viscosity meets the requirements of the equipment. If the oil viscosity isn’t within the specified range, insufficient lubrication can lead to mechanical friction, wear, and heat – which can result in equipment failure. Monitoring viscosity can allow you to simultaneously detect any number of conditions, including fuel dilution, oxidation, water dilution, wear, and thermal breakdown. microVISC-m™ is an ideal solution for used oil analysis. 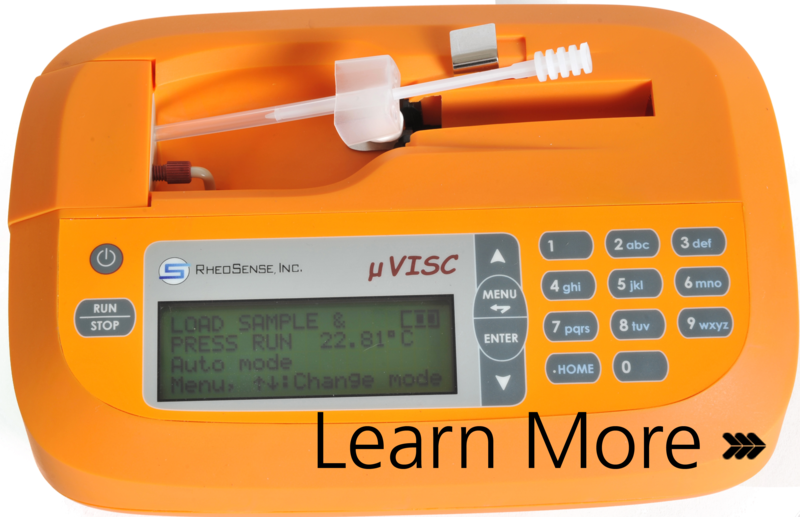 It is handheld, lightweight, and battery powered, making it perfect for lab or field analysis. It also uses disposable pipettes, so it requires no cleaning and reduces the risk of sample contamination. RheoSense microVISC-m™ systems operate on a highly robust and reliable platform incorporating a hybrid of microfluidic and MEMS (micro-electro-mechanical systems) technologies. With push-button operation, the system is easy to use and requires no training. 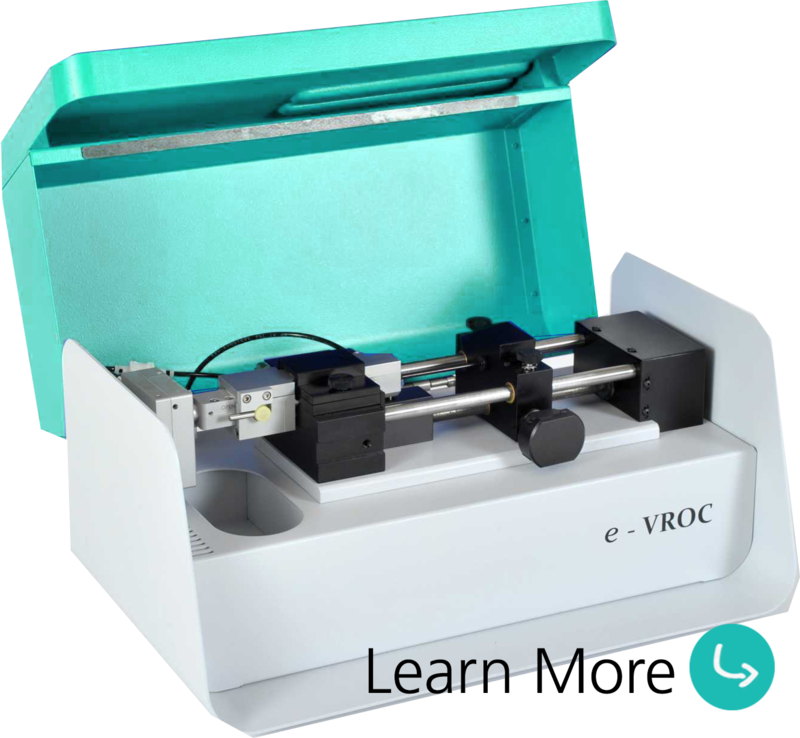 The microVISC-m™ sensor obtains a viscosity reading by measuring the pressure drop as the sample flows through a flow channel in the measuring cell. As the sample is pushed through the flow channel the pressure is measured at positions of increasing distance from the inlet. The slope of the straight line in the plot of the pressure vs. sensor position is proportional to the viscosity. 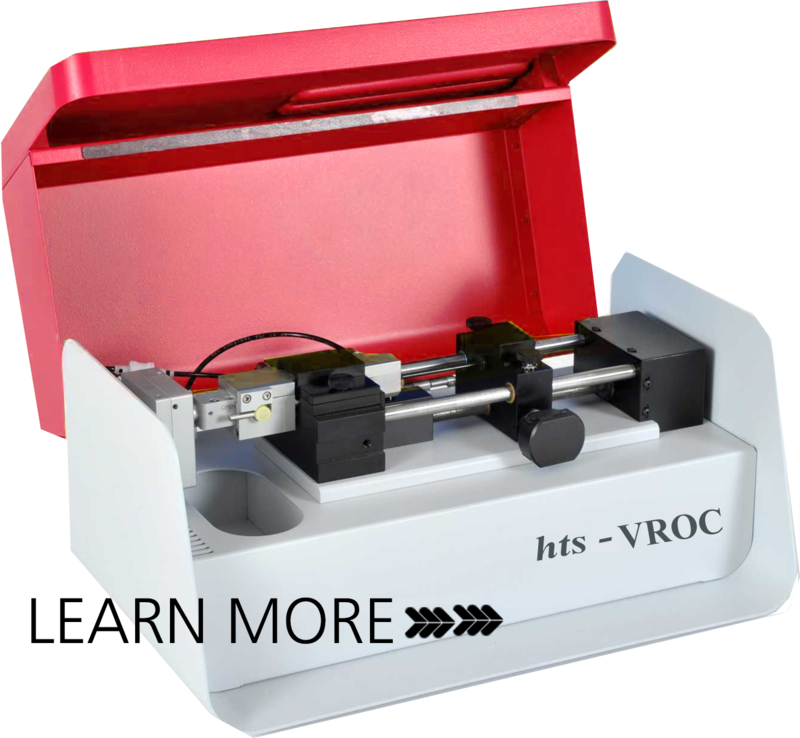 The measurement method, also known as the rectangular slit method, provides highly accurate dynamic viscosity data and kinematic viscosity in order to compare with industry standards like ASTM, ISO, SAE, etc. This is accomplished using the innovative microVISC-m™ firmware which utilizes ASTM D341 temperature compensation principles to provide viscosity data at reference temperatures that are different from the actual measurement temperature. 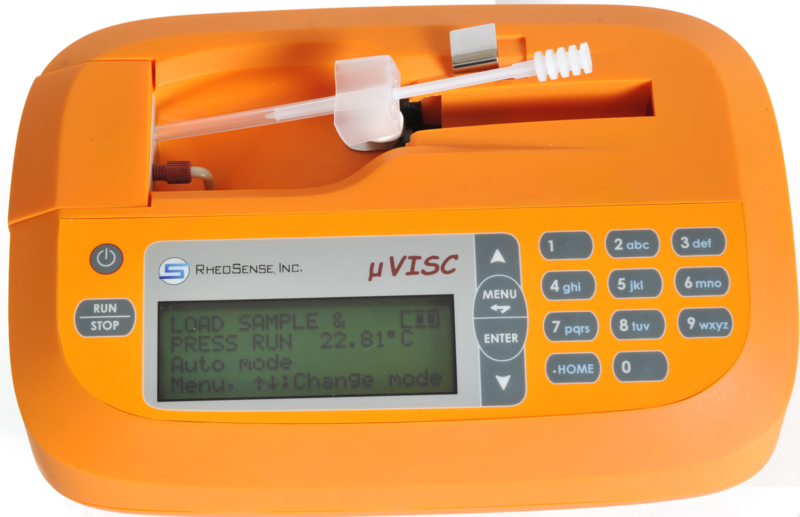 This gives the user the ability to compare a sample viscosity at 40 °C, 50 °C and 100 °C in a single measurement. The system is easy to use, with automated measurement capabilities. Protocols for each type of fluid can be pre-programmed into the software. The user selects the fluid to be measured from the menu and loads the sample via the provided, disposable pipettes. It is also small and portable, with an internal battery capable of measuring 100 samples between charges and is insensitive to vibration and external motion.